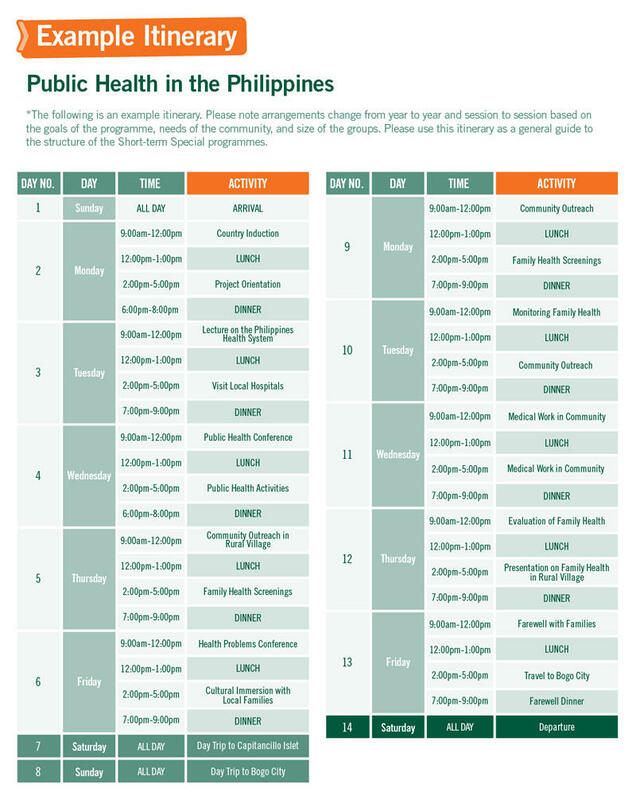 The Public Health project in the Philippines is a unique project, based in and around the city of Bogo. This project is designed to give volunteers the opportunity to work in a community health setting and is focused on the importance of health campaigns and outreach work in the local communities, in addition to giving you an insight into the health system of the Philippines. The majority of your time will be spent working with local families doing health screening activities such as blood pressure, blood sugar and waistline measurement as baseline information for health promotion strategies. Volunteers will then design simple health promotion strategies to be implemented within the duration of 2 weeks. Working as teams, volunteers will also organise community exercises as part of the health promotion strategy. A community day will also be arranged by the volunteers. There is also an opportunity to participate in the medical mission session for the community with the local doctors, wherein volunteers can assist in basic procedures like taking vital signs, assisting the dentist in dental procedures, and assisting the pharmacist in dispensing of medicines. You will be working alongside local doctors, nurses and social and health workers reaching out to as many people as possible. 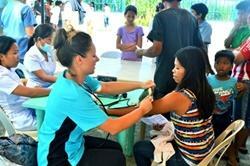 While volunteering in the Philippines you will live with one of our local host families. This gives you a unique insight into a completely different way of life. During the weekend you will get the opportunity to experience Capitancillo Islet - a beautiful, mystical and small coral island near Bogo, which has a protected marine sanctuary, three dive sites and a lighthouse.